With autumn officially here the weather is going to quickly turn wetter and colder, making it harder for your regular washing to get dry; which is why now is the perfect time to maintain your tumble dryer. 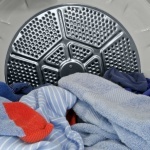 To offer a helping hand we’ve compiled this helpful post which looks at not only some of the most common tumble dryer faults and how to rectify them; but also some of the accessories you can get for your tumble dryer to improve its performance. 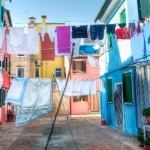 One of the most common faults to occur with a tumble dryer, particularly one which hasn’t been used for awhile is an unpleasant burning odour. Thankfully rectifying such an issue is a simple task, as the cause of the odour is likely to be a blocked lint filter. Ideally, the filter should be cleaned after every use as it’s likely that fibres from clothes will come loose whilst they’re being tumbled and get caught in the filter. However, we know that in reality few of us clean the filter after every use; but it’s important before you put your tumble dryer on for the first time this winter, that you give the filter a quick once over. If the filter is particularly dirty or looks as though it has seen better days it may be best to purchase a new filter, which can be easily slotted into place. On the other hand, if the tumble dryer filter is only slightly dirty, give it a quick clean, remove any lint caught in it and slot it back into place, ready for use. The only reason we use a tumble dryer is to get our clothes dried; so if there’s a lack of heat created within the appliance then there is something fundamentally wrong. The main reason that the tumble dryer is not producing enough heat to carry out its main function is because there’s a faulty element. Fixing the fault can be done in one of two ways, the first is to dust off your tool box, give our “How to Replace the Heating Element Assembly on a Tumble Dryer” YouTube video a watch, and carry out the repair yourself. Whilst carrying out the repair yourself may sound scary, whatever your DIY skill there’s no reason why (with our help and advice) you wouldn’t be able to carry out the task yourself. To replace the element within your tumble dryer you will need to remove the back panel by undoing the number of screws holding it in place; once the panel has been removed you’ll see the old assembly which is also being held in by screws, which need to be undone along with the connectors holding it in place. Once the connectors have been removed, you can remove the old tumble dryer element before adding the new one in place, before reversing the above steps, ensuring that the parts are secured back into place on the tumble dryer – and hey presto, the appliance will once again be working to its full potential. If repairing the element still seems a little daunting the second way to get your tumble dryer back up and running is to contact the experienced electricians at Repaircare who’ll take care of the fault and get your appliance back up and working again in no time. So you’ve put your clothes into the dryer, put the dryer on and left your clothes to dry only to find at the end of the cycle the clothes have not dried. There are a few reasons why this may be, the first could be that there’s a fault with the heating element (which we’ve covered above). Other possible causes could be a faulty thermostat or issues with the heat control switch; to rectify such issues we’d recommend contacting qualified electricians. Two further possible faults are the clothes were too wet when they were put into the machine, or the tumble dryer was overloaded. Rectifying such issues is simple to do, the first thing you should do is make sure that your clothes have been spun dry before placed into the tumble dryer; after this you should only put up-to half a drums worth of clothing into the appliance. In addition to making sure that the clothes are spun dry before going into the tumble dryer and that the appliance isn’t overfilled; we’d also recommend using tumble dryer balls into the load when drying, as these can help reduce the drying time by up-to 25%. Added benefits of using tumble dryer balls is that they’ve been proven to noticeably soften fabrics, reduce creases and wrinkles within clothes (which has the added benefit of cutting down the ironing time), whilst they also cut down on lint and fluff – meaning you don’t need to clean / replace your filter as often as you would if you didn’t use the balls. By being aware of the common faults which occur with tumble dryers, the solutions to rectify such issues, and accessories which can help improve the performance of your appliance, you can help keep your tumble dryer running for longer – saving you money in both the short and long term. 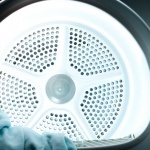 Tumble Dryer Quick Fixes Get the most from your tumble dryer and help to keep it working in top condition by carrying out regular maintenance on it. Reduce your Drying Time With winter not far round the corner and the great outdoors becoming darker, wetter and colder we’ll be ever more reliant on our tumble dryers. Sorry to hear your dryer is making a loud squeaking noise when rotating. We’d recommend checking out these two “How To” videos which will enable you to diagnose what the fault is, and how best to repair it.